We handle various sea freight shipments from FCL to break-bulk to RORO shipments. We are one of the leading firms having direct consolidation to various destinations around the globe. Through our consol partners in each region we are able to cover the entire globe at minimal rate. We are one of the few companies in the country that is licensed by the Ministry of Transport – Saudi Arabia to carry out sea freight operations. We are among the few logistics companies that are licensed to carry out air cargo by Civil Aviation. From small machinery spare part to big aircraft engine we handle almost all shipment with utmost care and sincerity to worldwide destinations. Our close teamwork with different airlines help us to provide services to worldwide destinations at the best possible price. Being an IATA accredited and licensed air cargo agent, our network partners can make use of both MAWB and HAWB on a back-to- basis. This protects their interests. We handle both personal and commercial cross border transportation to GCC countries, Turkey, Yemen etc. We also specialize in heavy lift and transportation movements. 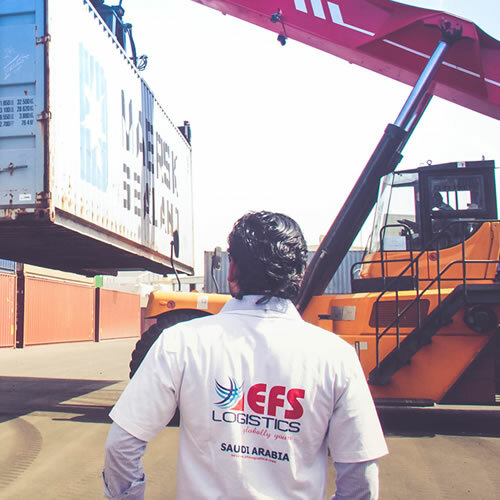 We also handle Transit cargo originating in Europe headed to GCC countries such as UAE, Kuwait and Qatar via Jeddah Islamic Port through land freight. This is an effective solution for those customers who require faster transit time.